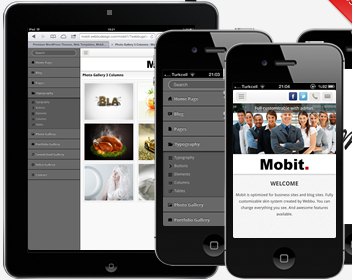 If you’re site isn’t optimized for mobile devices, you may be missing out on a huge audience. 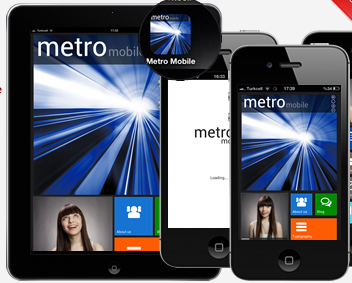 Some services ask hundreds or thousands of dollars, or even a reoccurring fee, to design a mobile app. 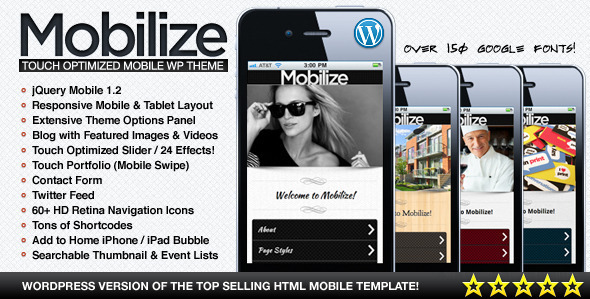 But adding a mobile theme might prove to be a cheaper option. 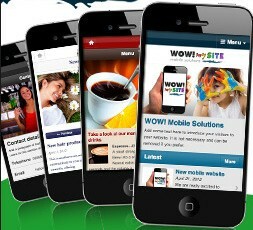 These mobile WordPress themes will allow your visitors to easily navigate your site on small screens. We’ll begin with a free one. Möbius will detect the users device and change skins depending on the size. 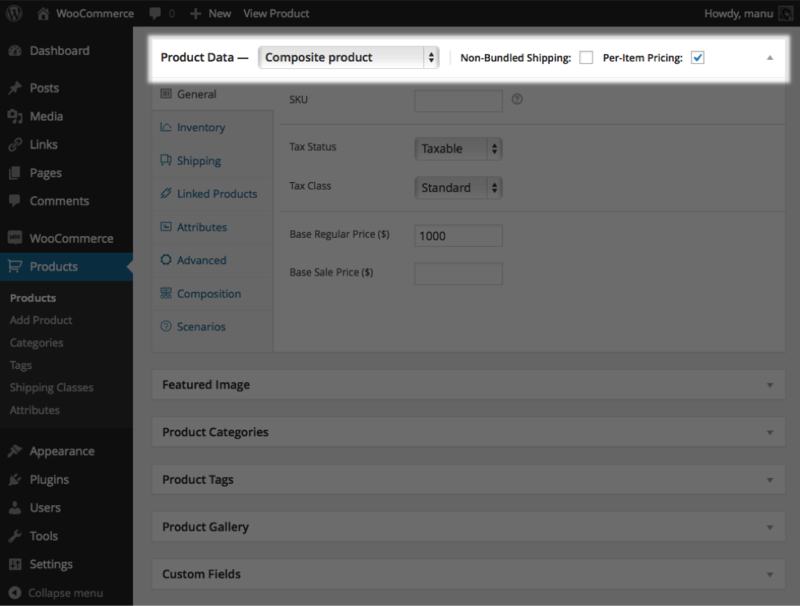 It comes with three skins and can be expanded with widgets. Mobit’s mobile these has a customizable system for your blog. In addition to the standard blog theme, there are custom gallery, audio, and video pages. This clearly Windows Phone inspired theme is made by the same people as the Mobit theme. It adjusts for the resolution of the device so it looks good on a phone or tablet. 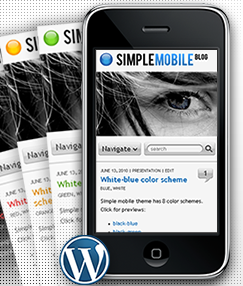 Simple Mobile is a simple WordPress theme for mobile users. 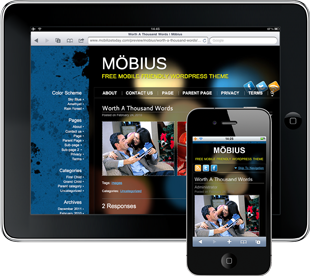 This theme presents your readers with the basics of your website and is easy to navigate. It also integrates Twitter and Flickr. .psd files are included so you can customize images in Photoshop. 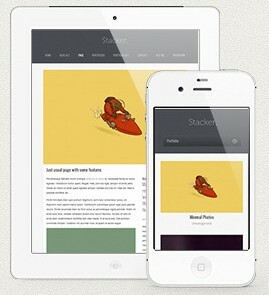 This popular mobile theme has a nice front end and an easy to browse blog feed. 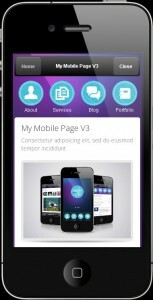 It also features a mobile admin interface so you can work on your site on your own device. This theme comes with 9 different color schemes. WOW! 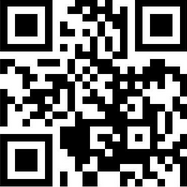 mySite is also translation ready. 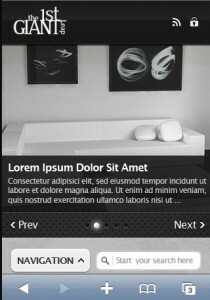 1stGiantLeap Mobile Theme features swipe gesture support, Twitter integration, and ajax powered forms. 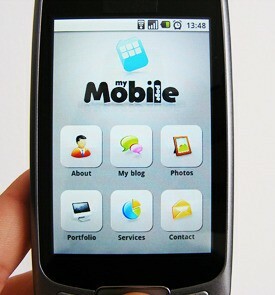 The theme is written in HTML 5 and adjusts to the orientation of the phone or tablet. Stacker features a flexslider and photoswipe and it allows 5 different post types. This theme is also ready for Apple’s Retina display. 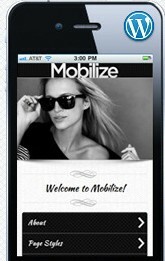 Mobilize is a slick new theme that’s been getting good reviews. This theme works with featured posts and will display videos within blog posts. It also integrates with twitter and is Retina ready.